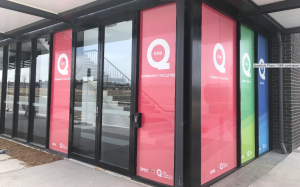 Our Canberra sign maker team has had the privilege of collaborating with the Queanbeyan-Palerang Regional Council. Last week, we got to see first-hand another one: the new Googong Community Center! Our Canberra design studio got to see the facility when we installed One Way Vision film in their windows. This sleek self-adhesive vinyl film allows visibility from inside the office, while people outside will see only the window graphic. 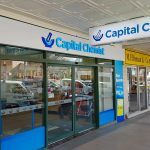 If you’re in the area, please do check out the handiwork of our Canberra signage specialists at the corner of Gorman Drive and McPhail Way in Googong. Interested in installing One Way Vision film on your storefront or vehicle? Contact us today!